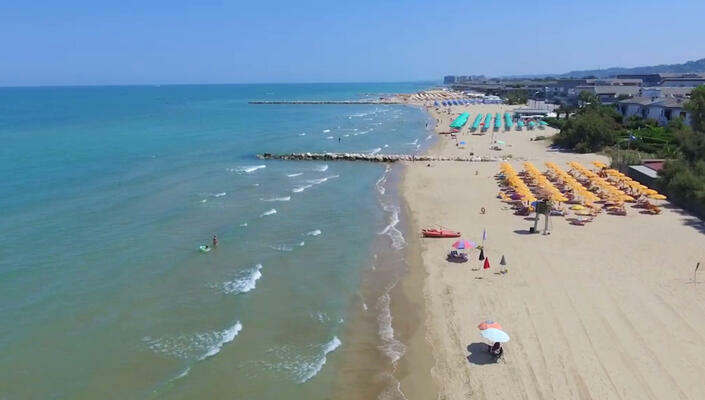 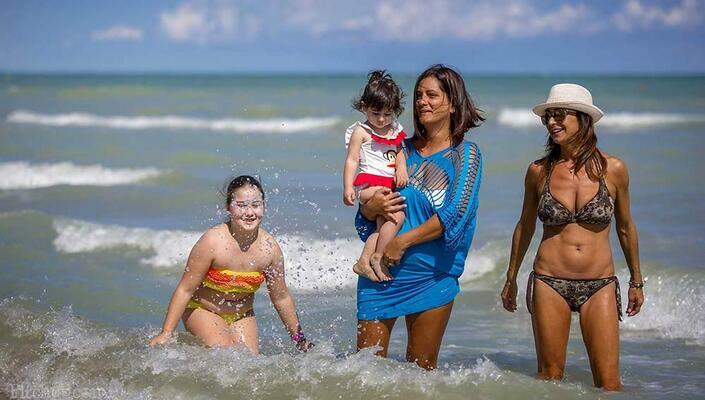 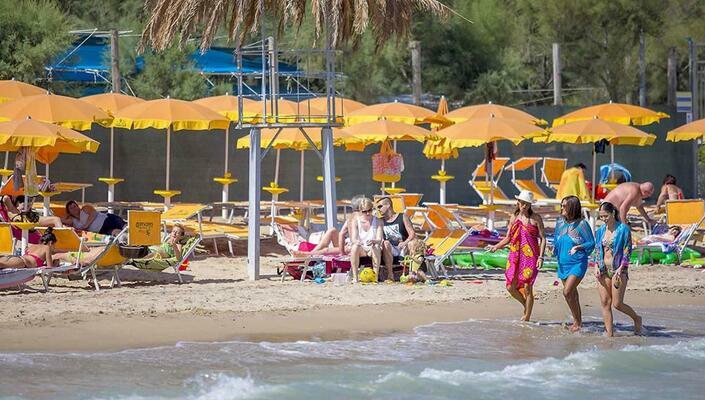 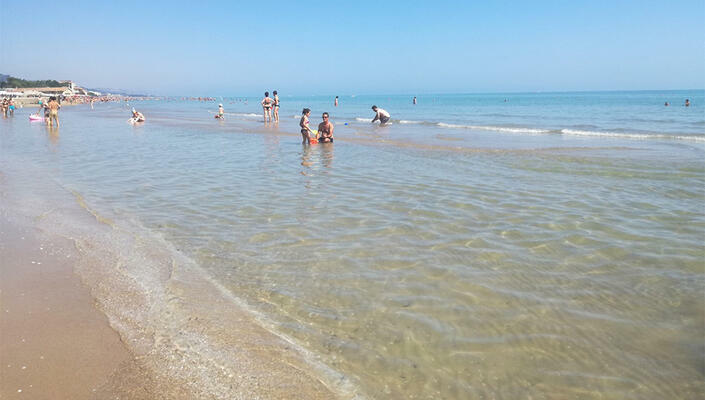 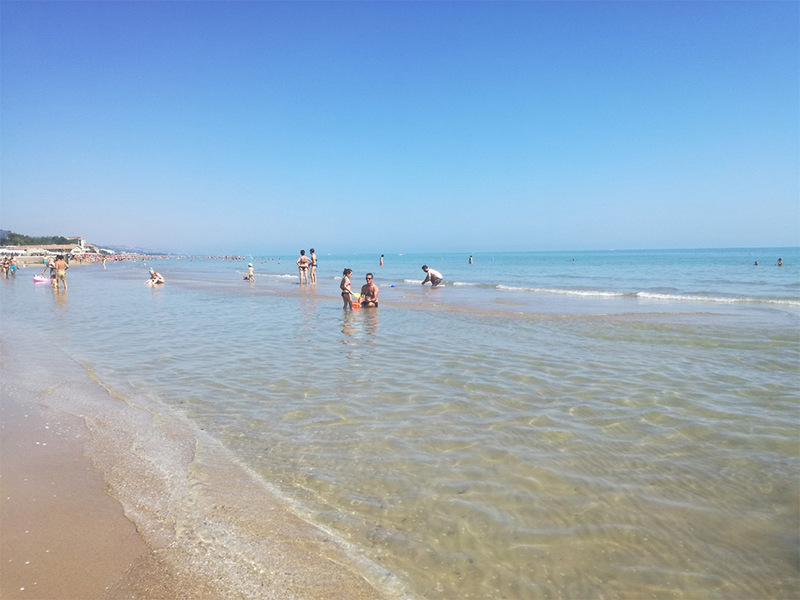 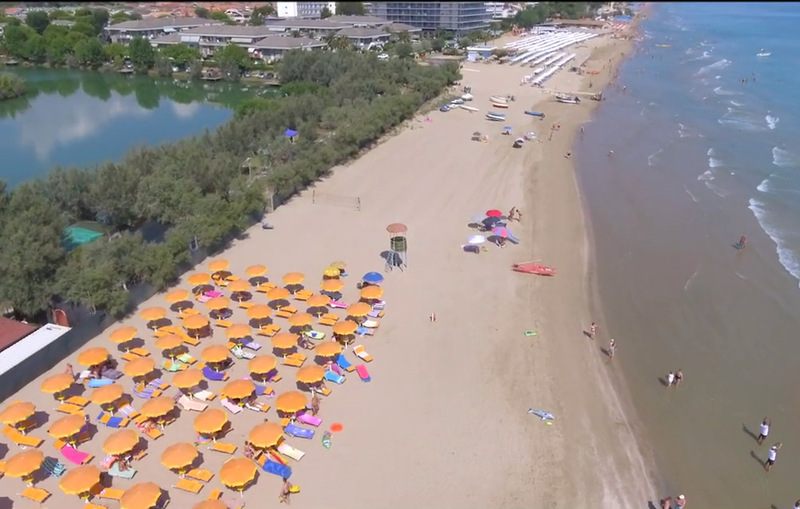 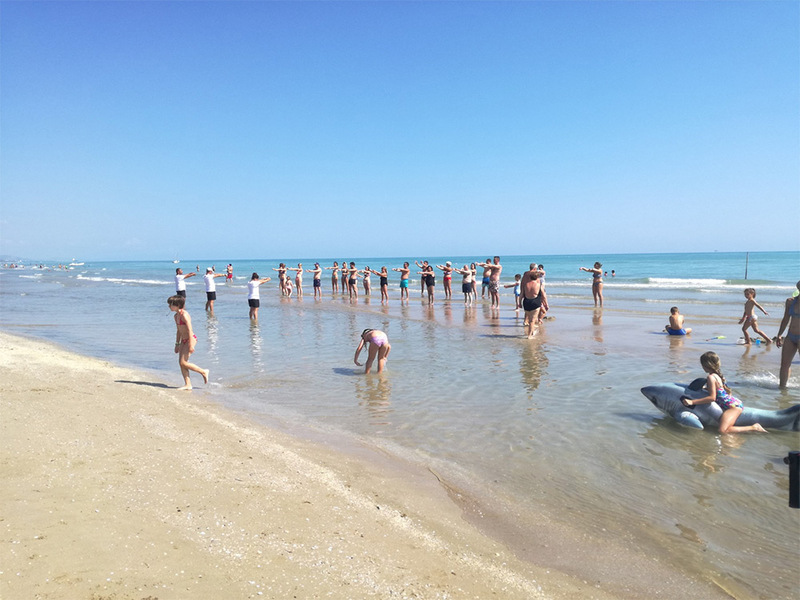 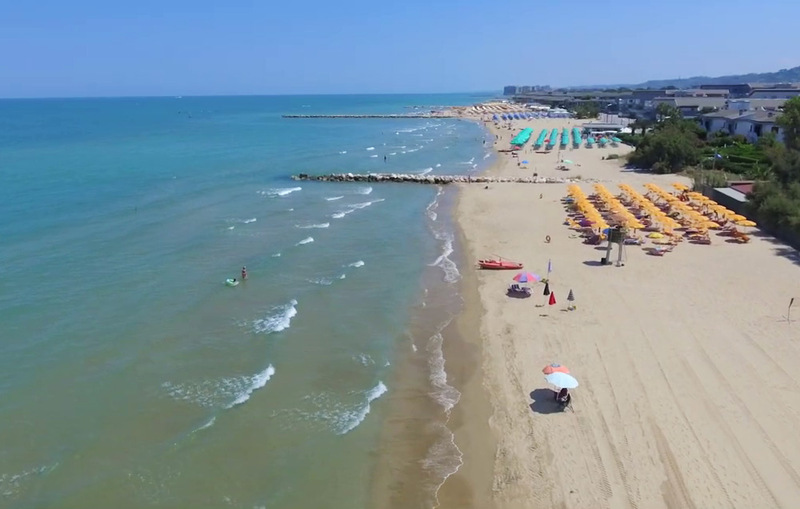 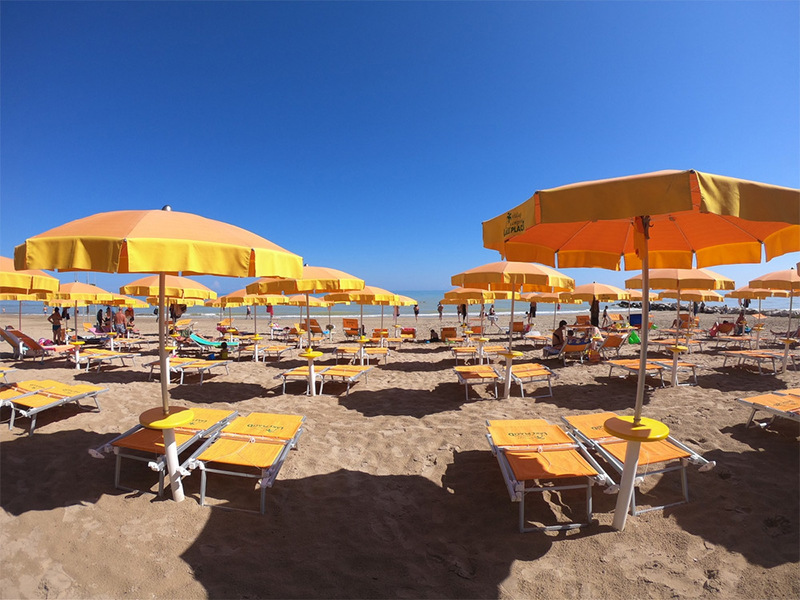 Our holiday village in Abruzzo is lucky to have both a free beach and a private one with fine sand, shallow waters and clean water, awarded with the European Blue Flag and the Green Flag of Pediatrics for its child-friendly sandy shore. 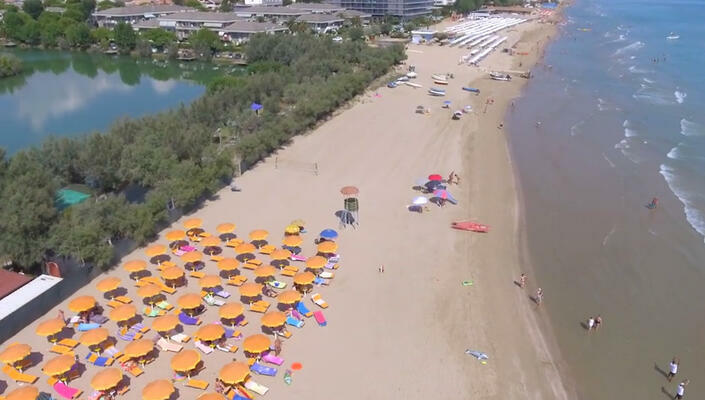 Our village is located directly by the sea of Silvi Marina and has direct access to the beach, with no traffic and roads to cross. 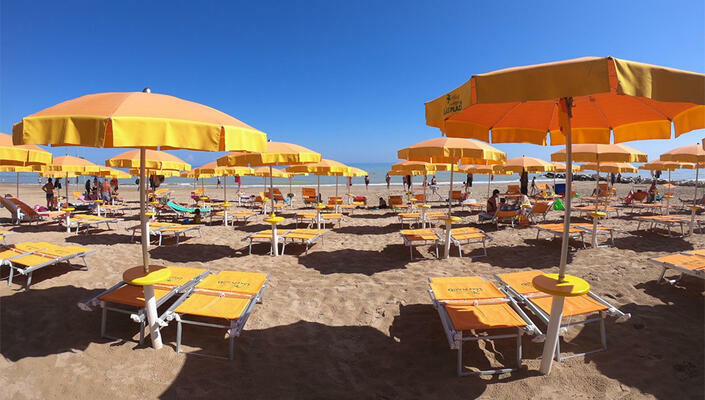 Umbrellas, sunbeds and deck chairs are available for you to enjoy top comfort during your beach holidays. 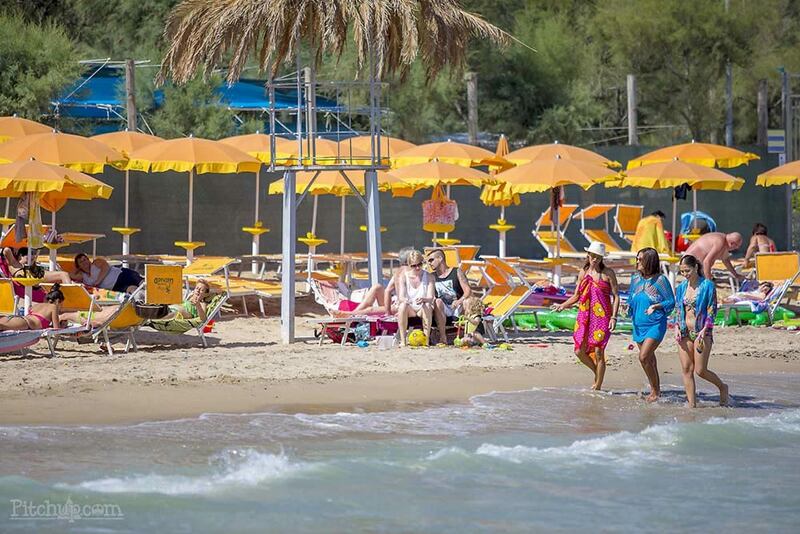 What’s more, our team of entertainers is always ready to think up new games and activities suitable for all ages, from little kids to adults.